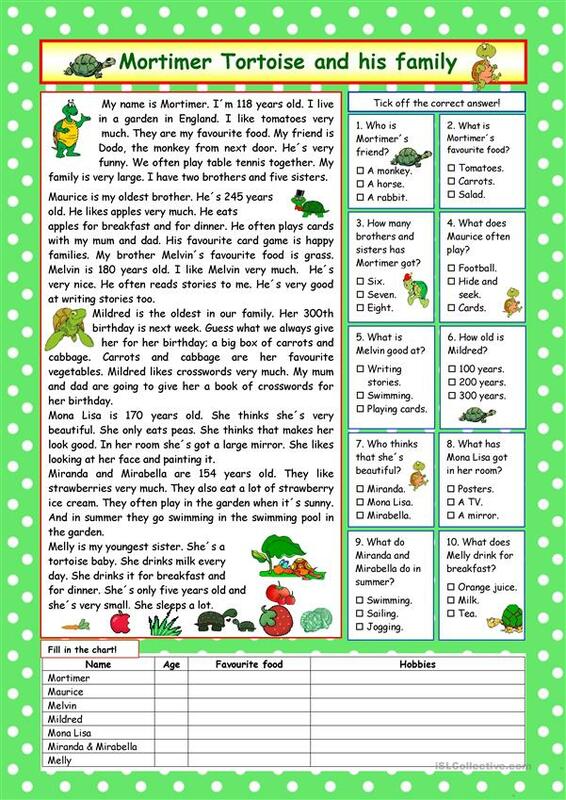 It´s an easy and funny text about members of a tortoise family, their age, their favourite food, their likes and dislikes. 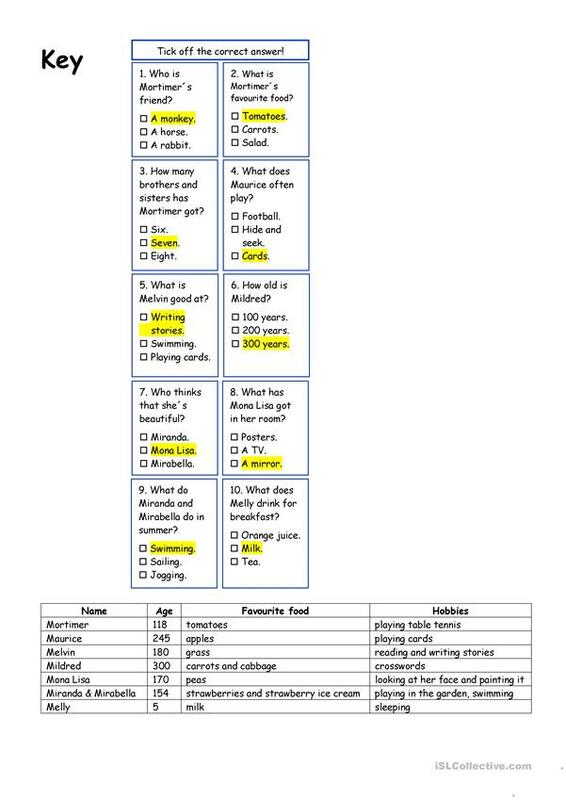 Comprehension exercises and key included. The present downloadable printable is recommended for high school students and elementary school students at Elementary (A1), Pre-intermediate (A2) and Intermediate (B1) level. It is great for consolidating Present simple tense in English, and is excellent for improving your pupils' Reading skills. It focuses on the vocabulary topic of Family. You will find the answer key at the end of the worksheet.